Before happy hour had even kicked off Friday night, 49ers fans all over the Bay Area were ecstatic. Niners general manager Trent Baalke engineered two trades on Day 2 of the NFL Draft, first moving down from the second pick in Round 2 (No. 34 overall) to No. 40, from where he selected Florida State defensive end Cornellius “Tank” Carradine. 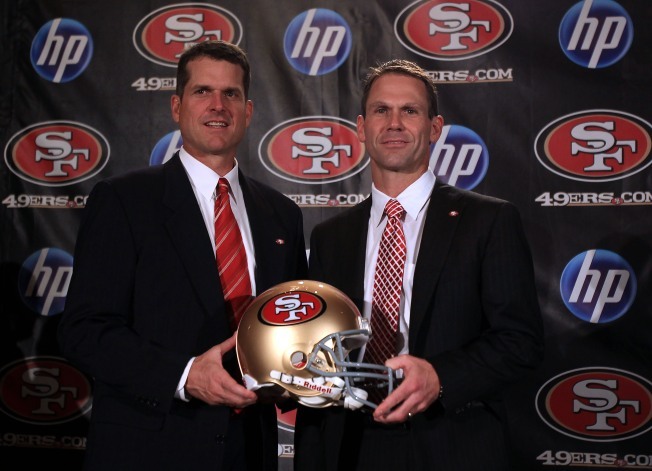 Then Baalke sealed another deal, moving up from No. 61 to No. 55 to select tight end Vance McDonald of Rice. Through the first two rounds of the draft, Baalke already had addressed the three most obvious needs of his team – with five rounds to go. The 49ers had picked up safety Eric Reid in the first round Thursday, a defensive lineman for depth and the future and a tight end to replace the departed Delanie Walker. With still more picks to be made, Niners fans by 5:30 p.m. Friday were already toasting what Baalke and Jim Harbaugh’s team had done this offseason. Carradine, especially, was considered a first-round talent, one of the top defensive linemen in the country who had 11 sacks before he suffered a torn anterior cruicate ligament that ended his season. Yet Carradine has been given a clean bill of health and worked out for NFL scouts recently running a 4.75 40 and declaring himself fit at ready. Carradine, who’s 6-foot-4 and 276 pounds, will give the 49ers a talented backup and possible future replacement for right defensive end Justin Smith. The Niners not only got the defensive lineman they needed in this draft, but in the deal they received a seventh-round pick (No. 216 overall) and a third-round selection in 2014. 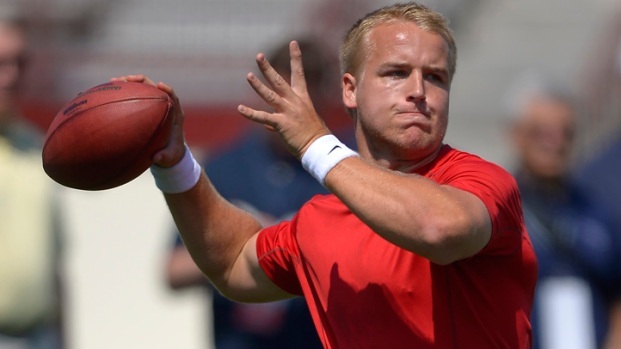 To move up later to get McDonald, the Niners gave up a sixth-round choice. McDonald is 6-foot-4 and 261 pounds, runs the 40 in 4.6 and was an all-Conference USA pick after catching 36 passes for 458 yards and two TDs this past season for Rice. The former wide receiver is strong – he led all tight ends at the NFL Combine with his bench press performance – but isn’t considered a standout blocker. However he is versatile like Walker, and should be able to be used in various ways in offensive coordinator Greg Roman’s offense. In the third round, the 49ers stockpiled another defensive end, picking up Corey Lemonier of Auburn (6-3 1/2, 255 pounds), who has played on both the right and left ends. When the draft resumes with Round 4 Saturday, the 49ers are scheduled to have two picks, the 31st and 34th.